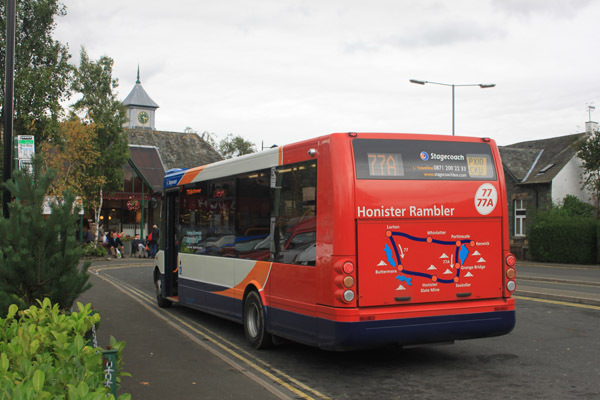 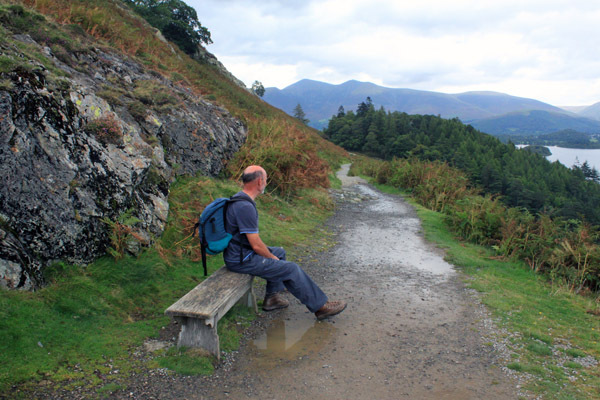 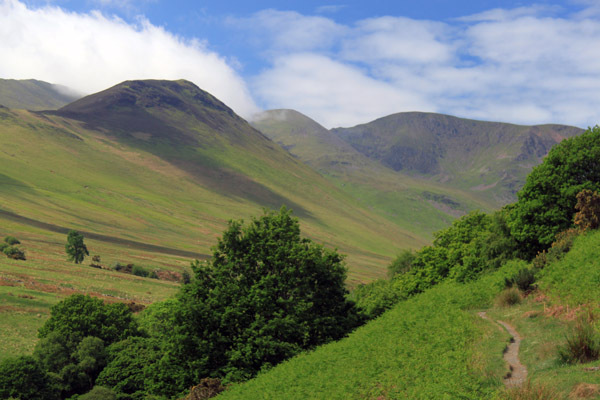 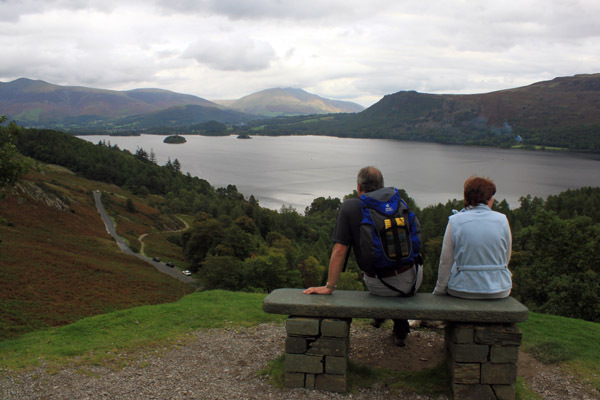 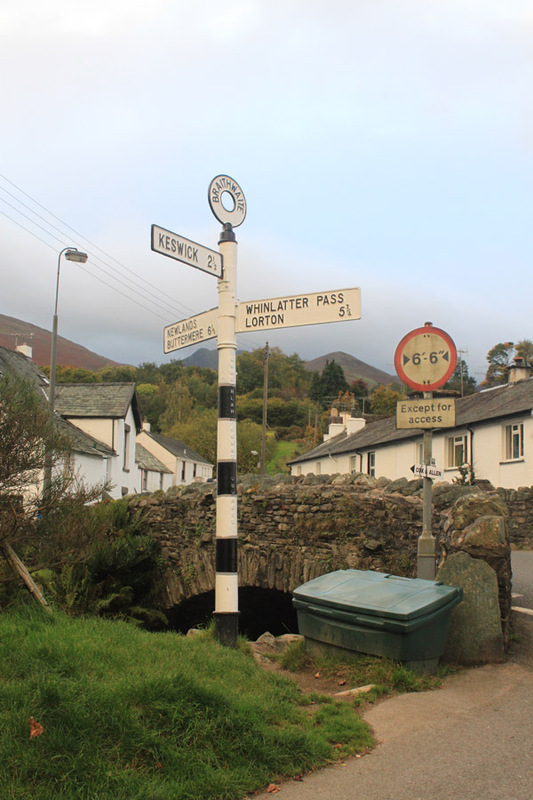 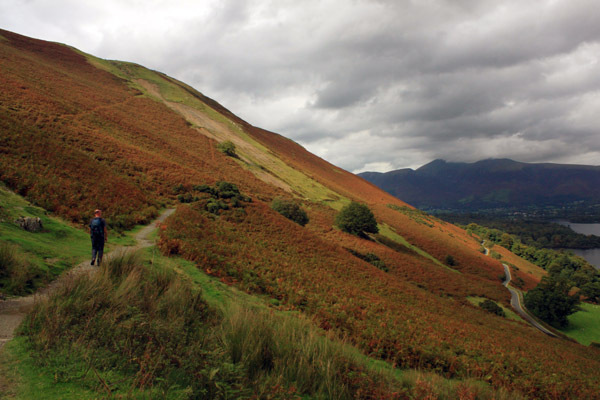 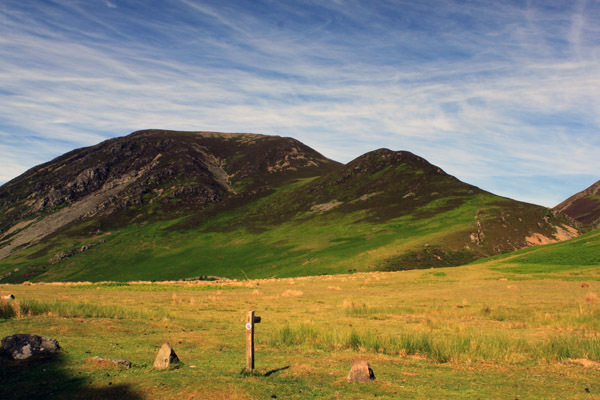 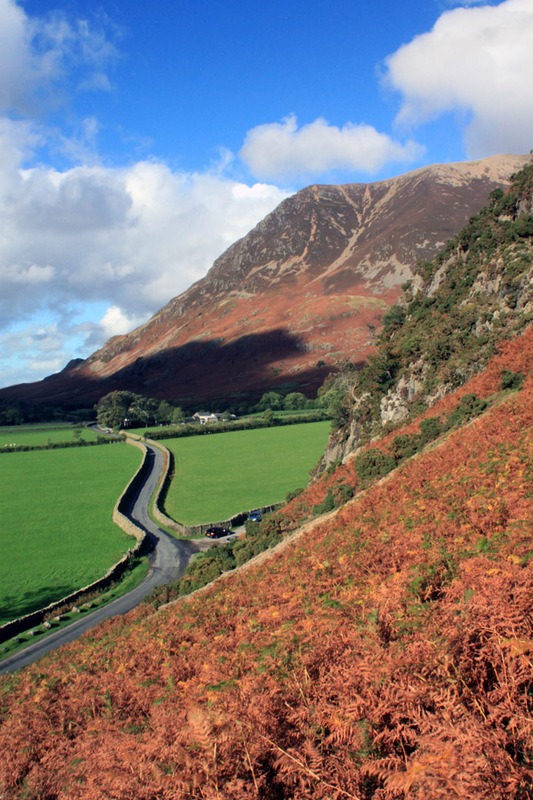 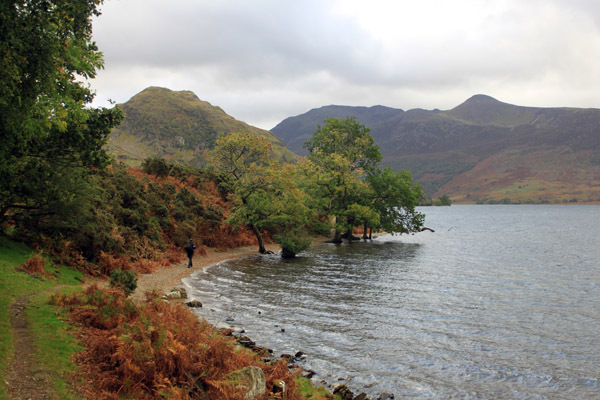 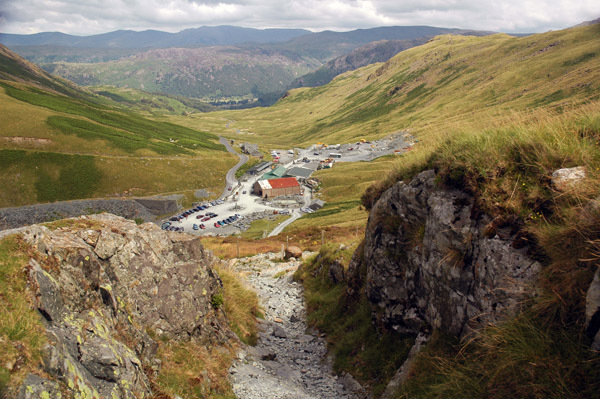 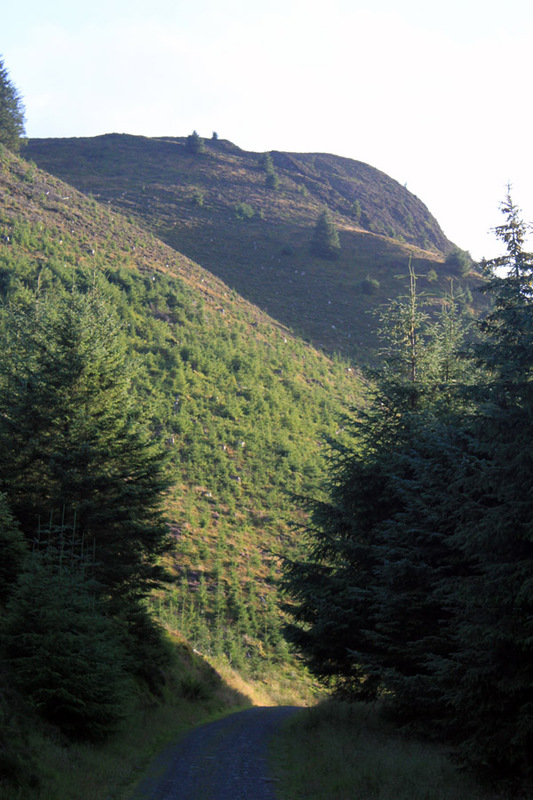 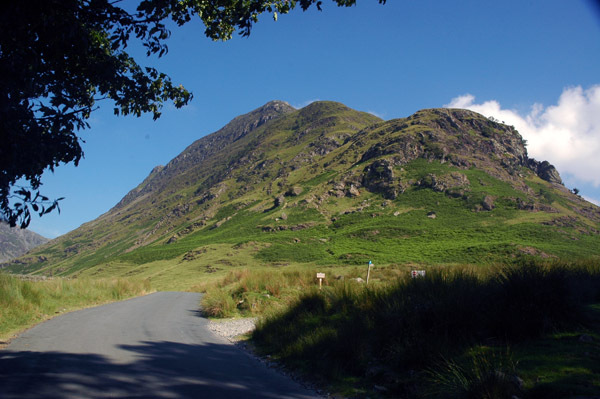 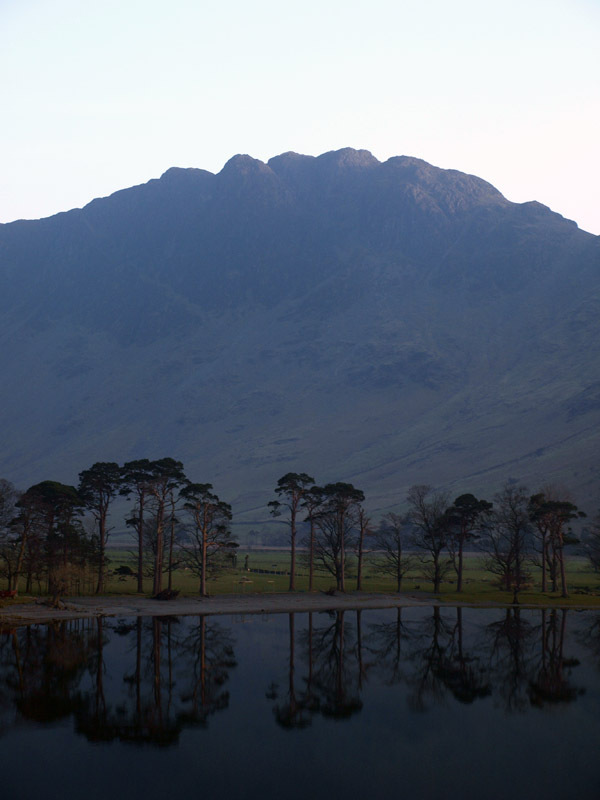 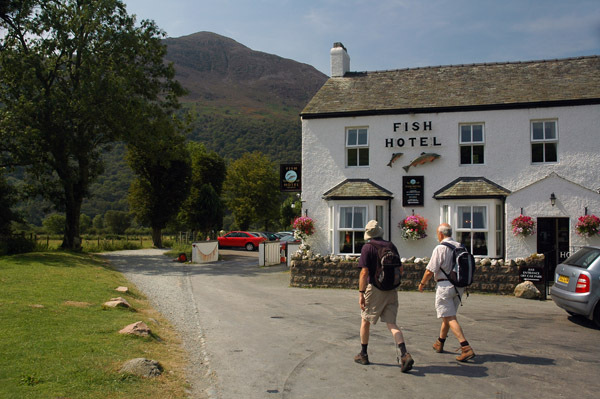 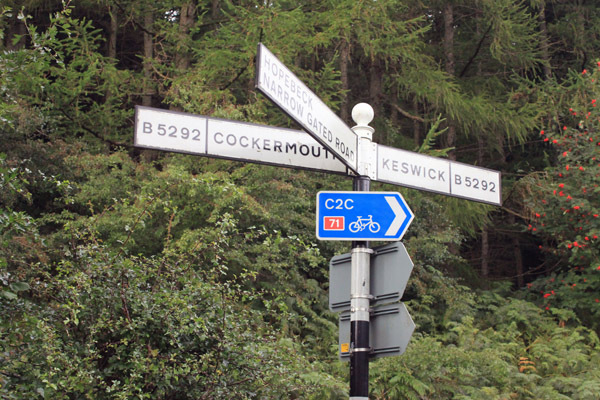 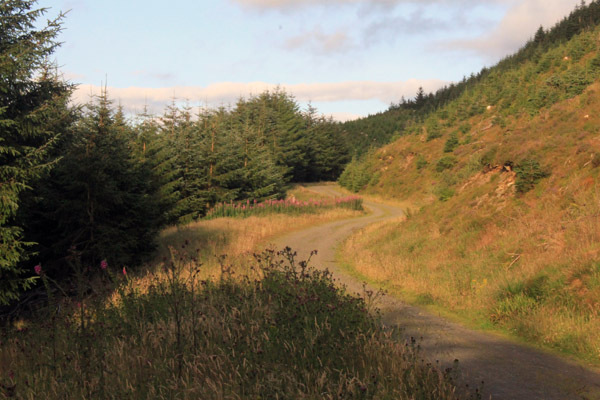 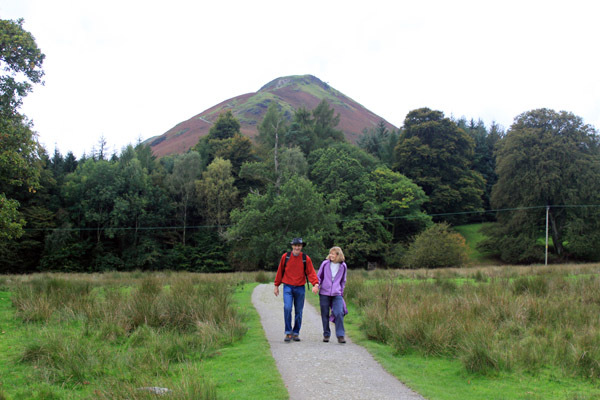 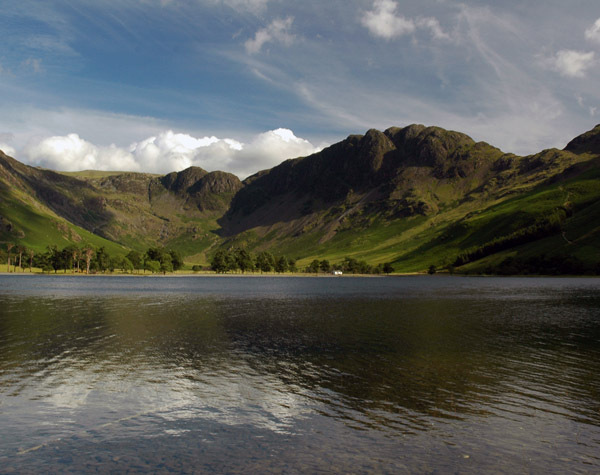 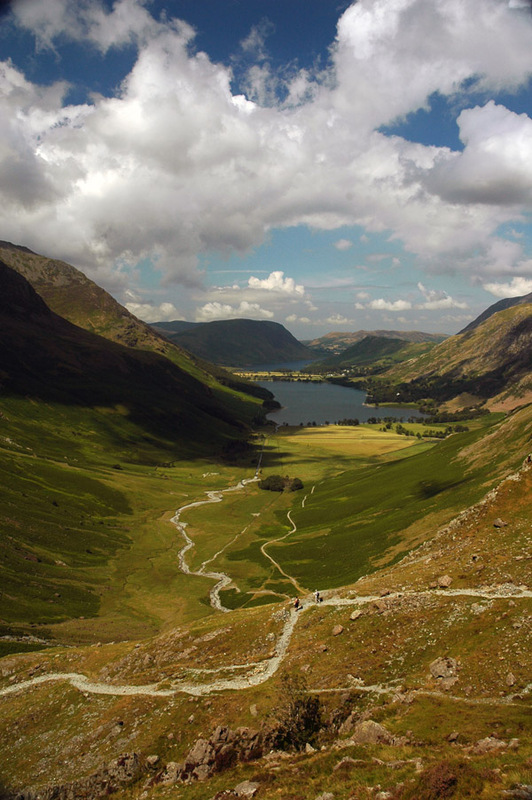 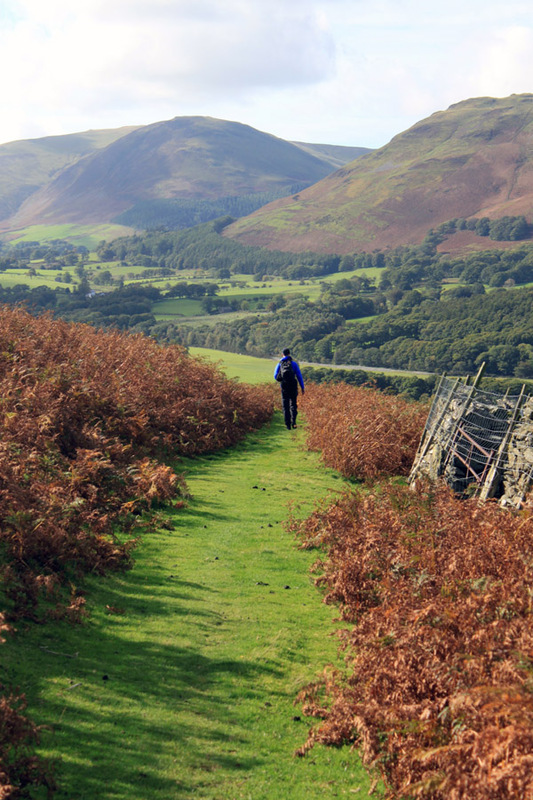 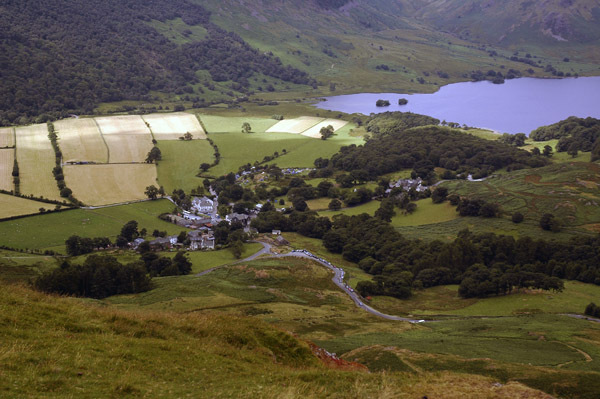 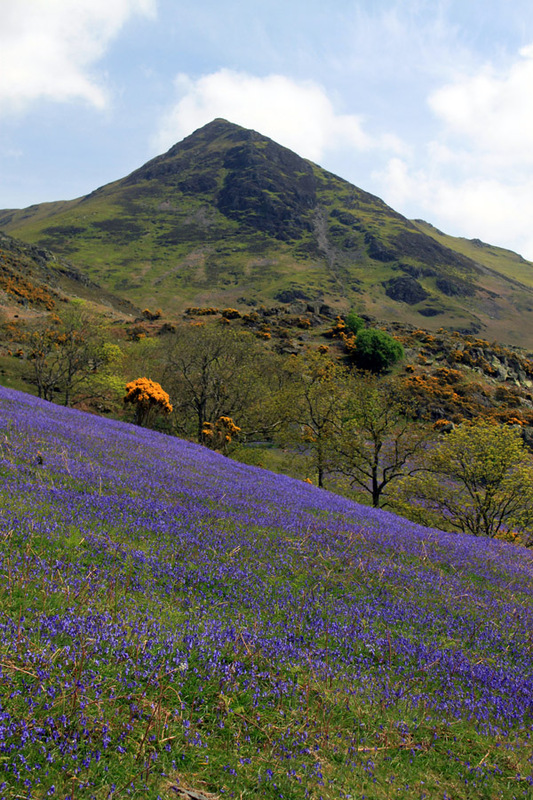 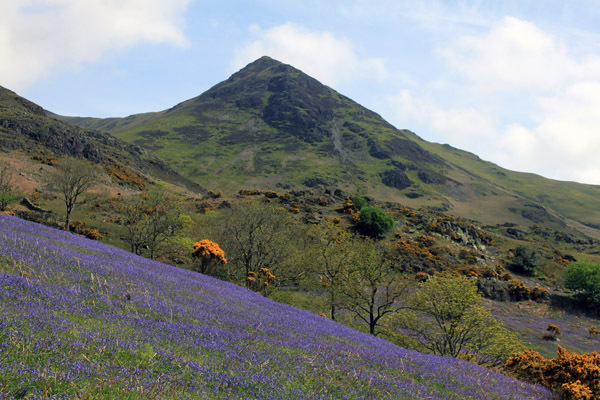 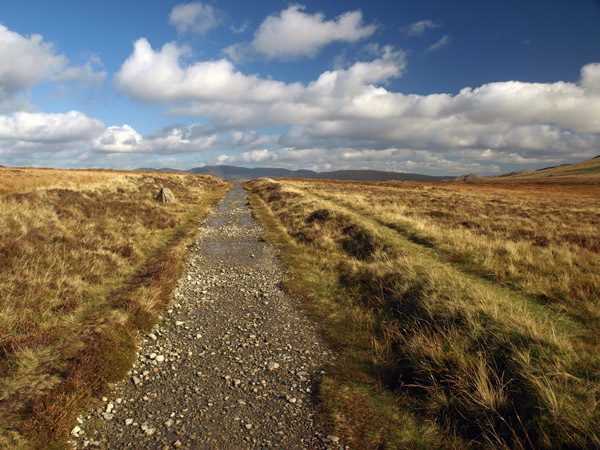 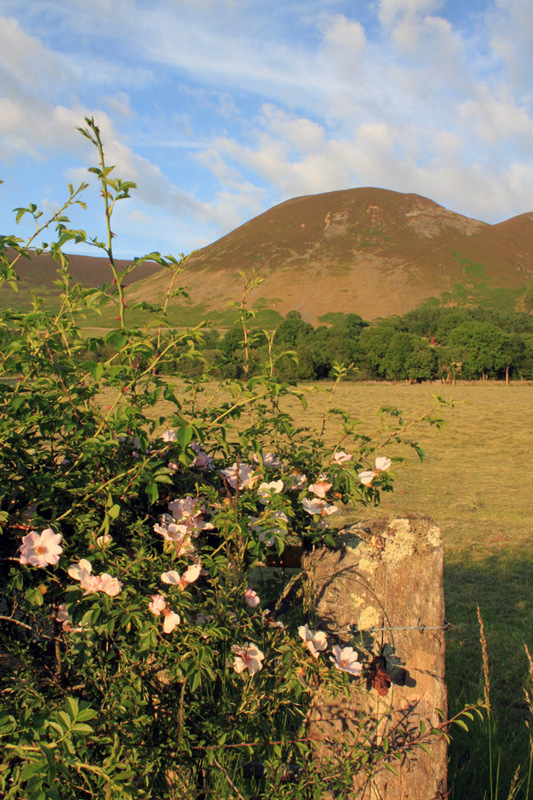 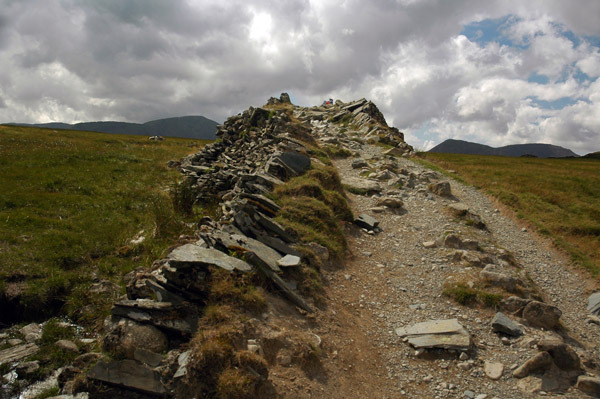 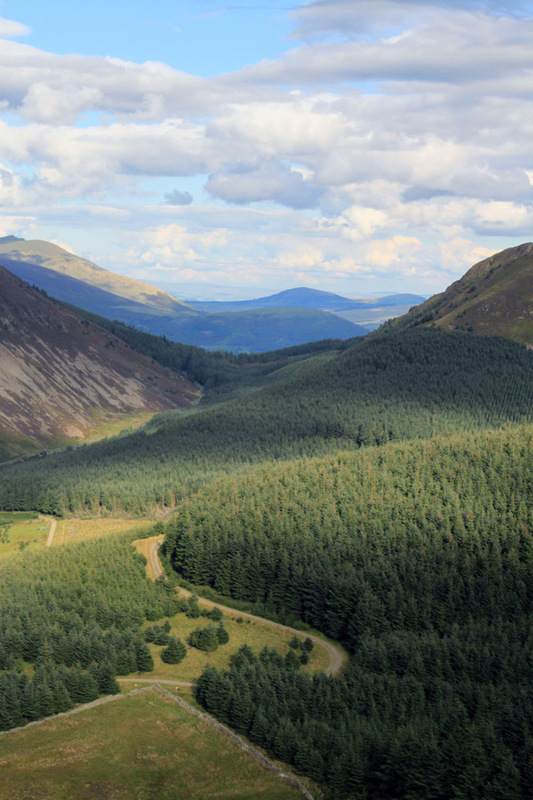 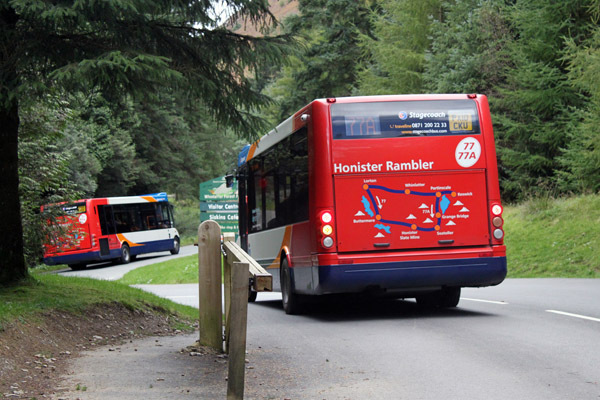 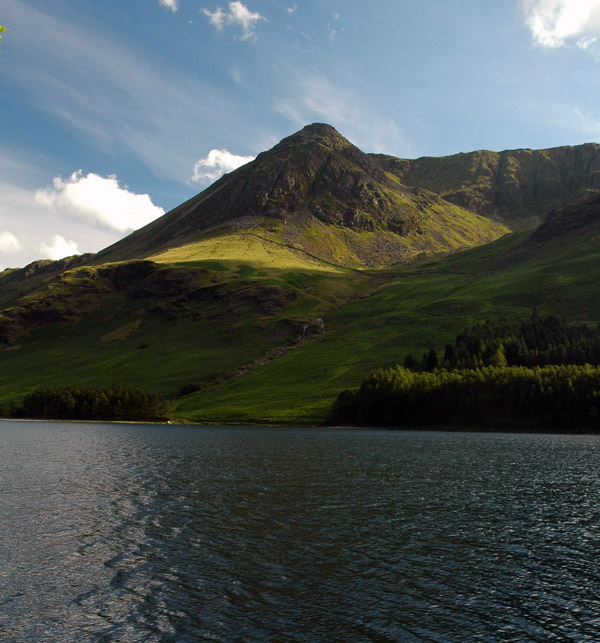 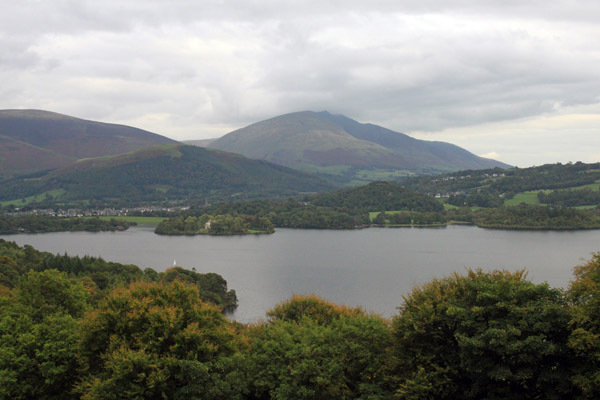 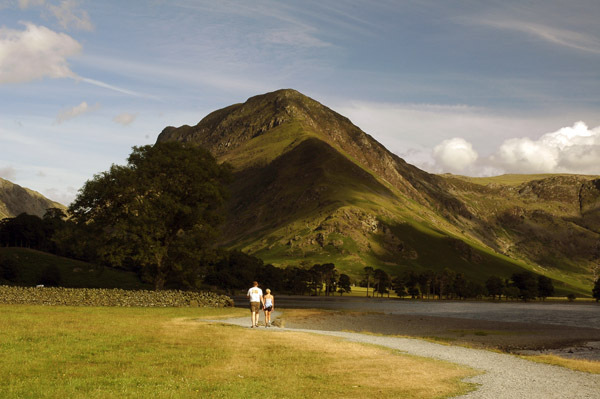 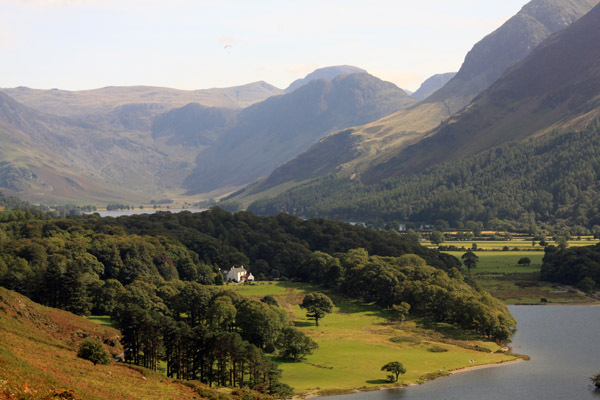 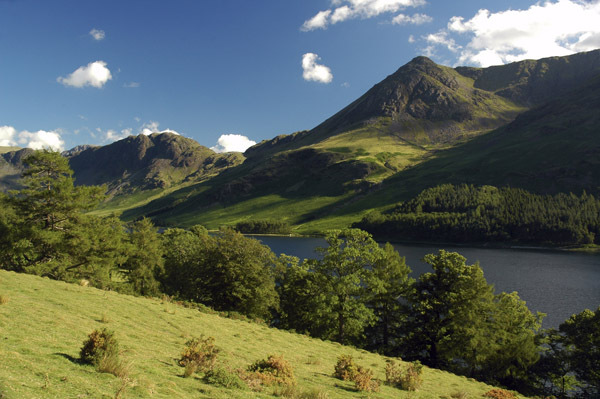 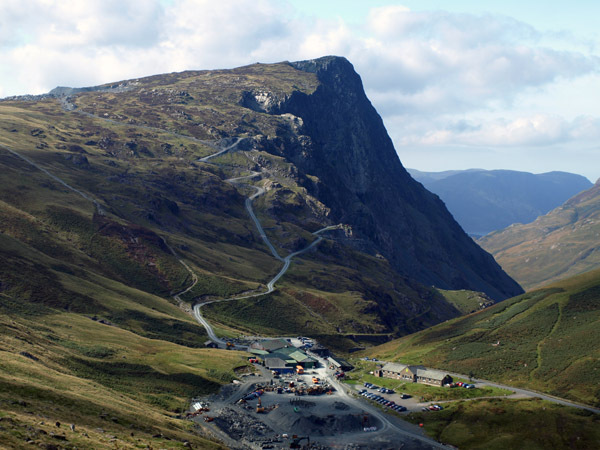 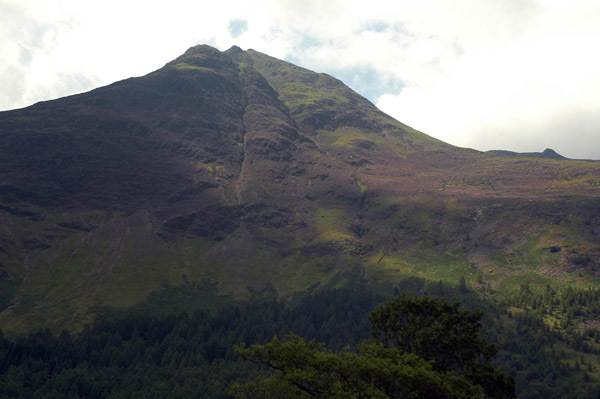 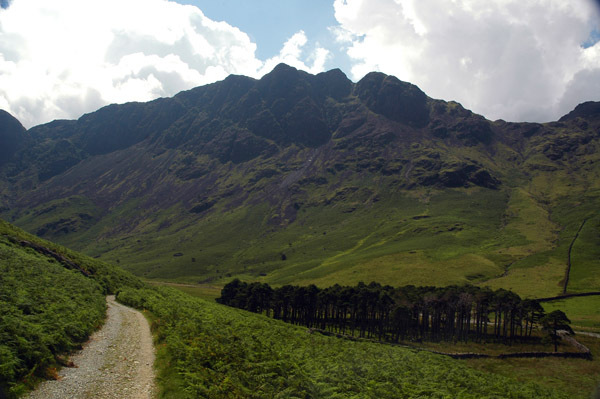 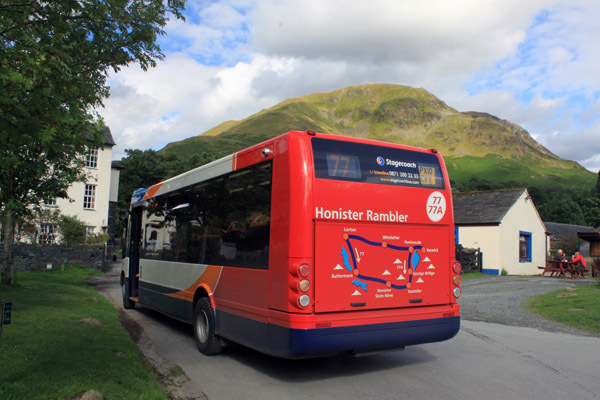 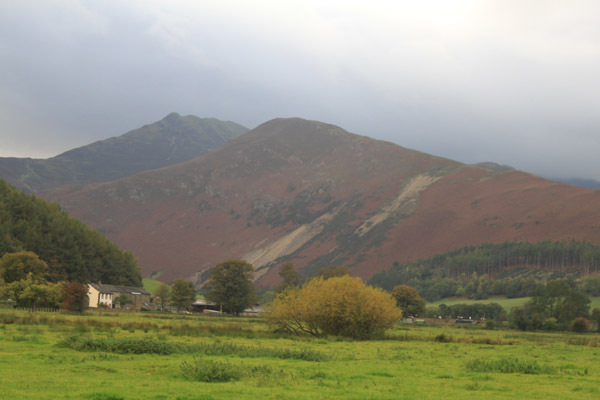 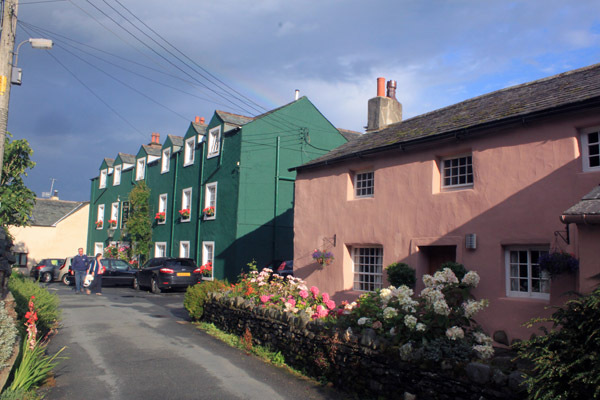 From Easter through to late Autumn Stagecoach's fabulous Honister Rambler bus service orbits the North-Western Fells, lying to the south-west of Keswick - with buses running both clockwise and anti-clockwise. 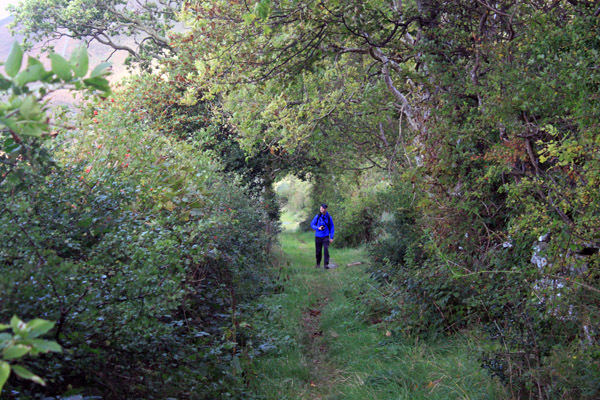 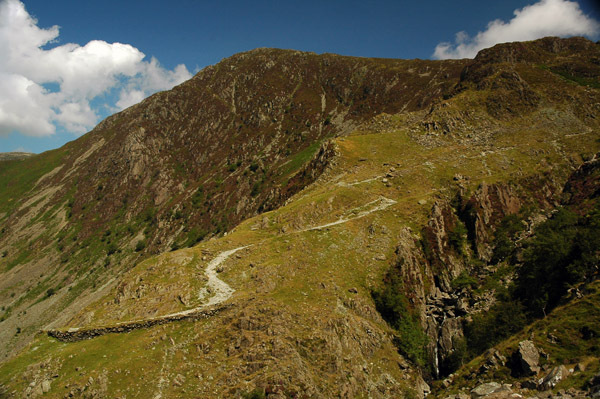 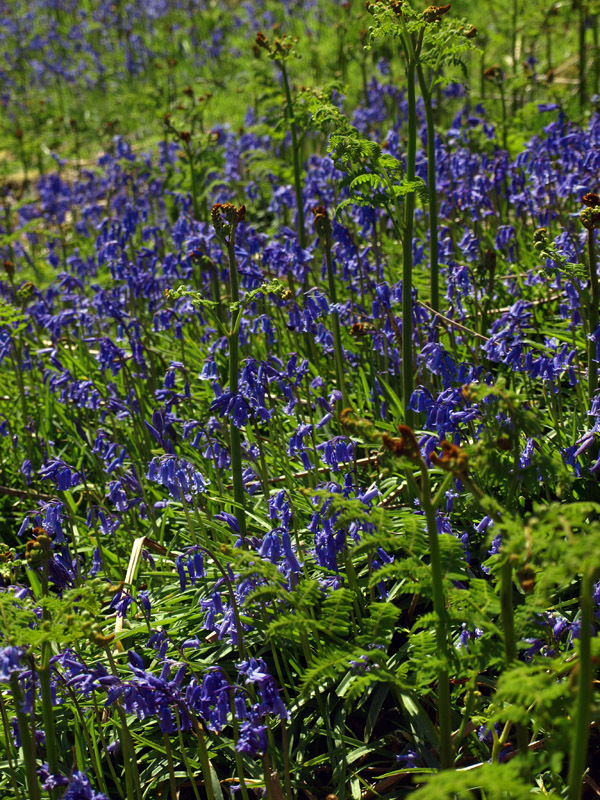 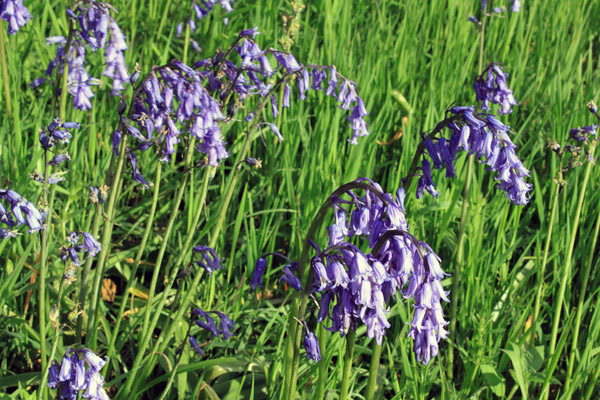 A journey that links lovely villages and amazing mountain valleys by high mountain passes. 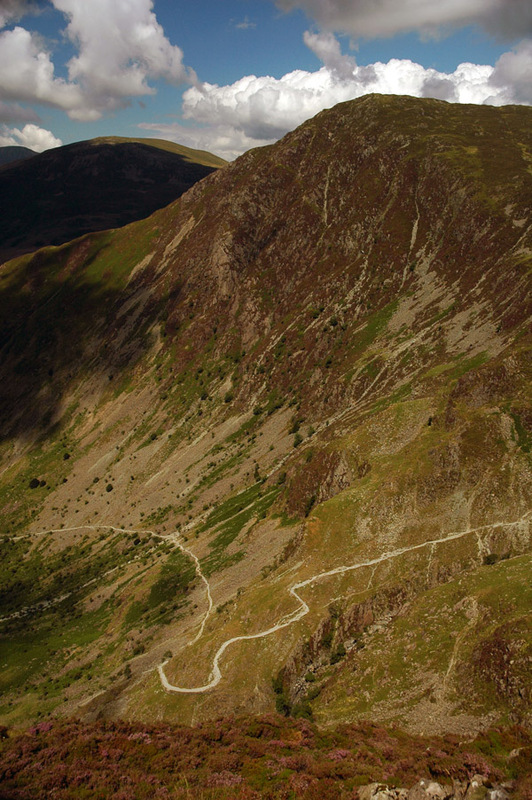 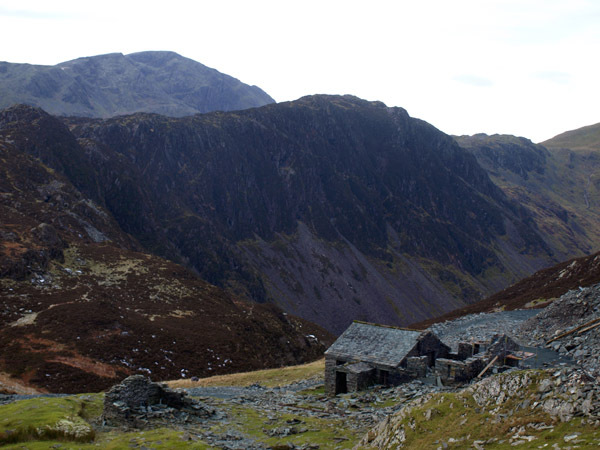 By Braithwaite and the Whinlatter Forest Park, High Lorton and Crummock Water to Buttermere, climbing beneath Honister Crag to the impressive hause at the Honister Mine. 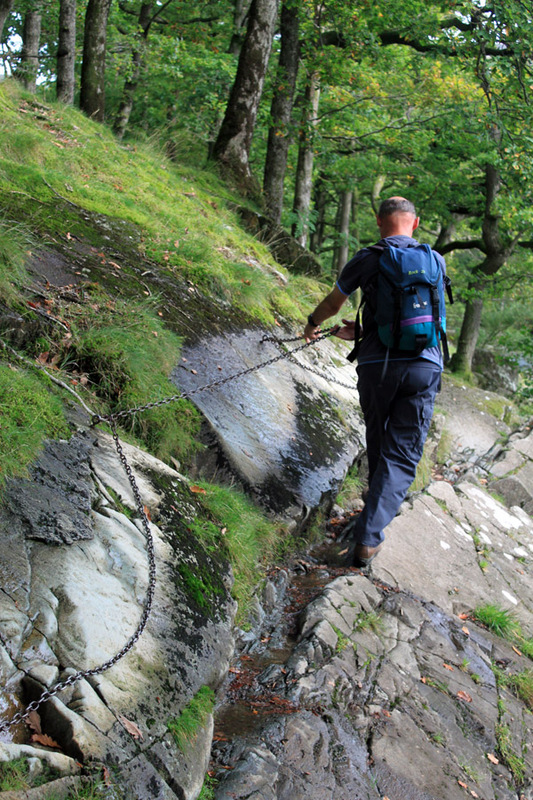 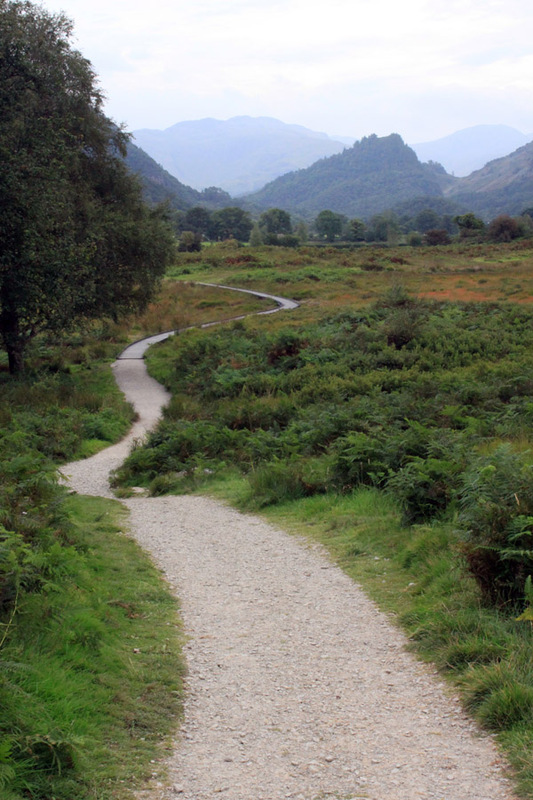 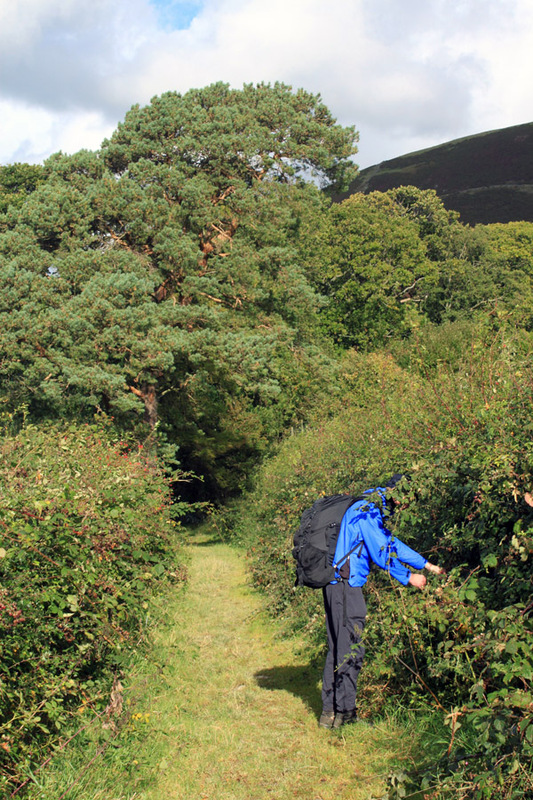 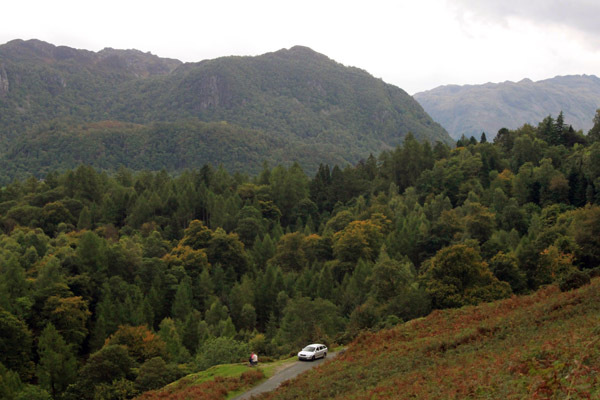 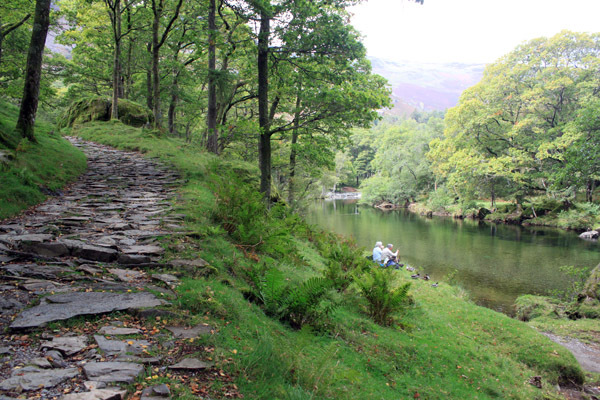 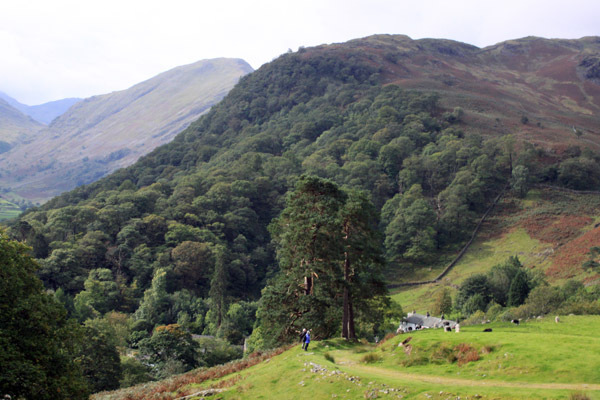 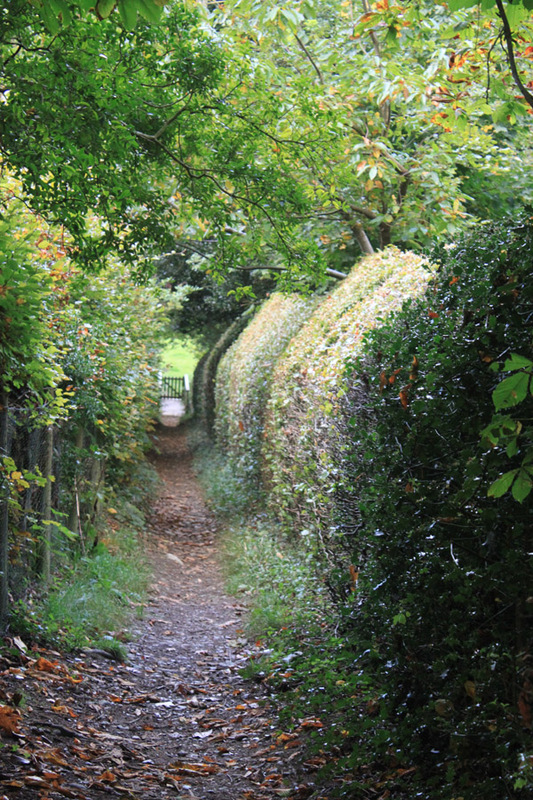 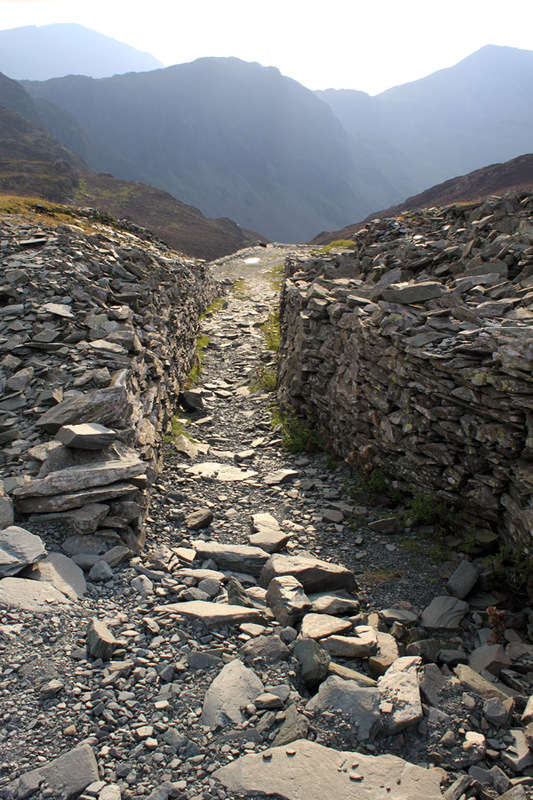 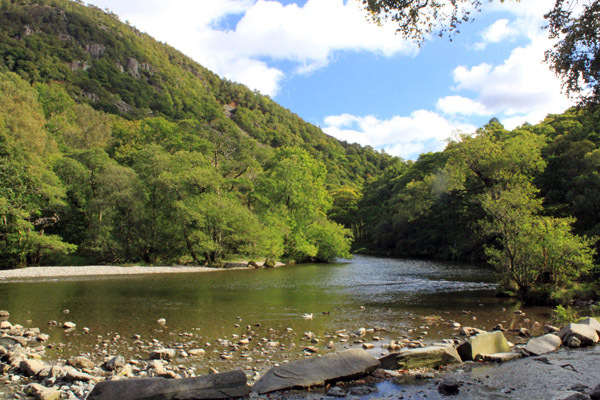 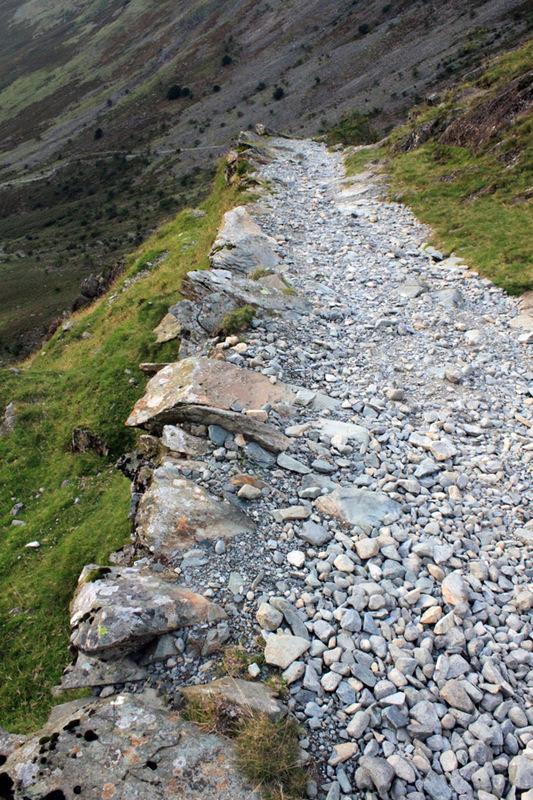 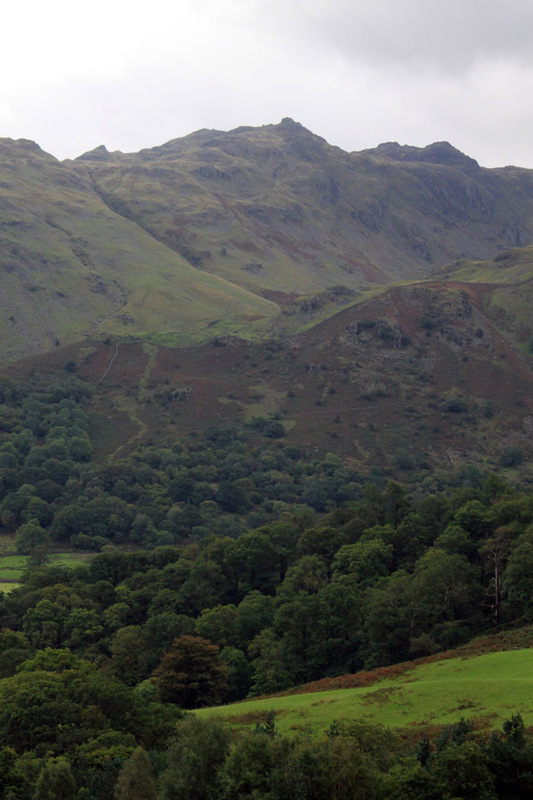 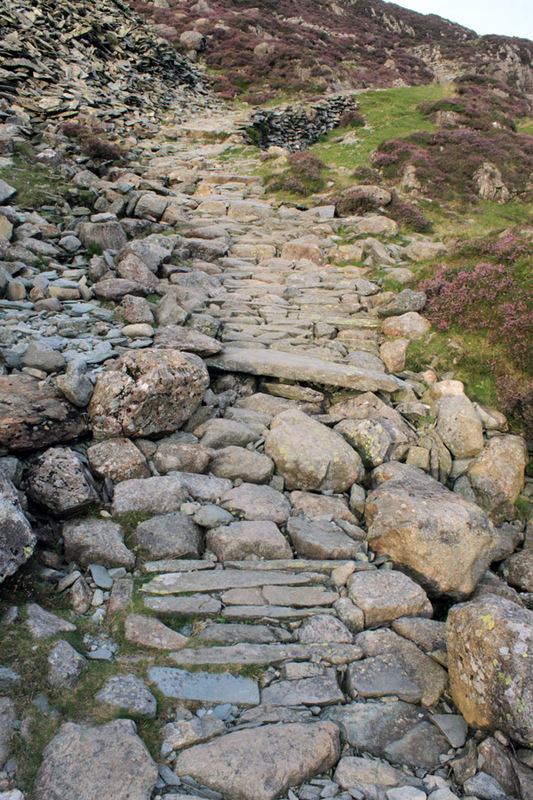 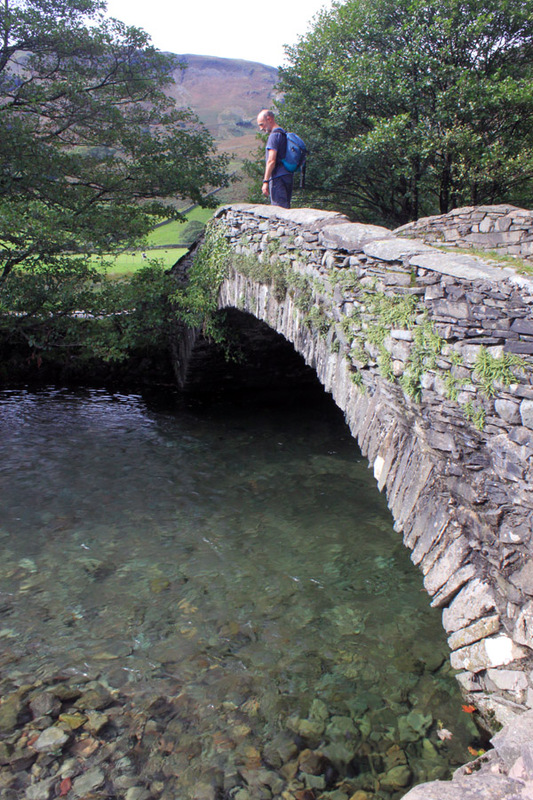 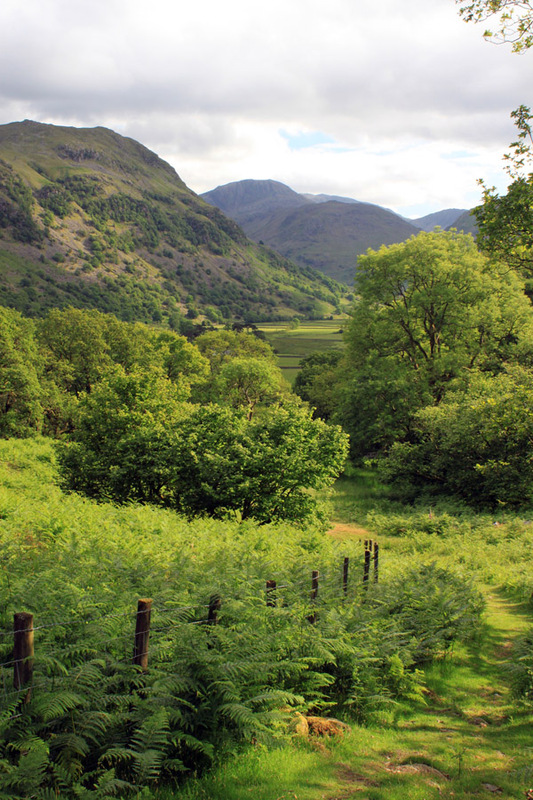 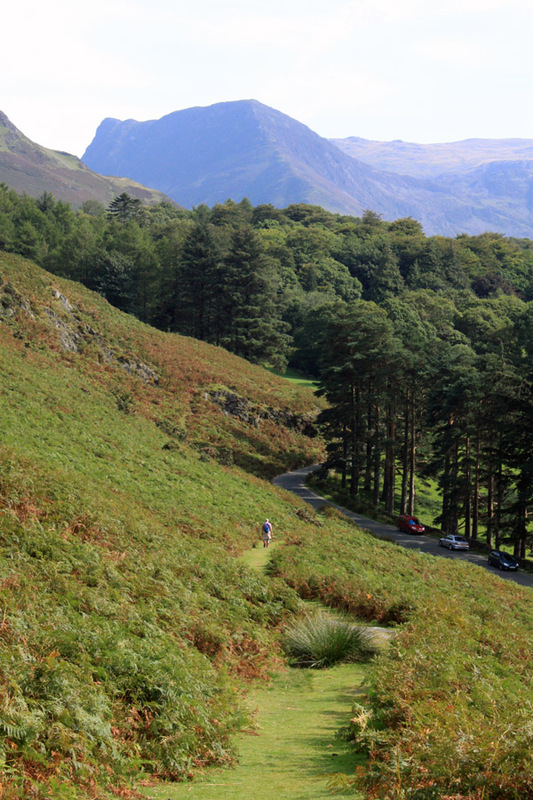 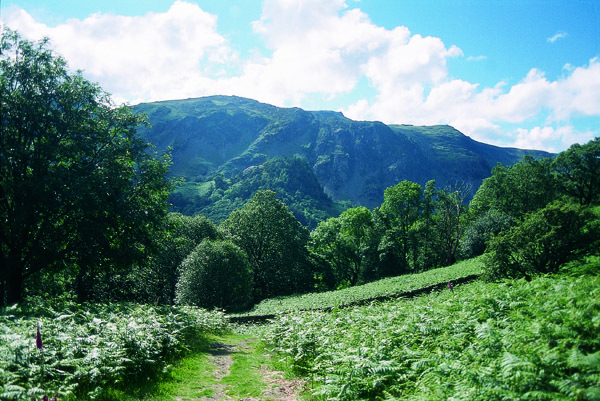 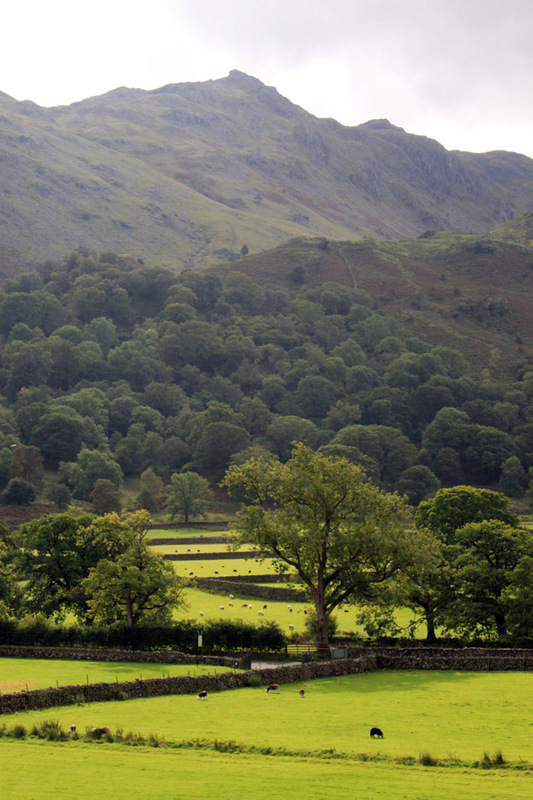 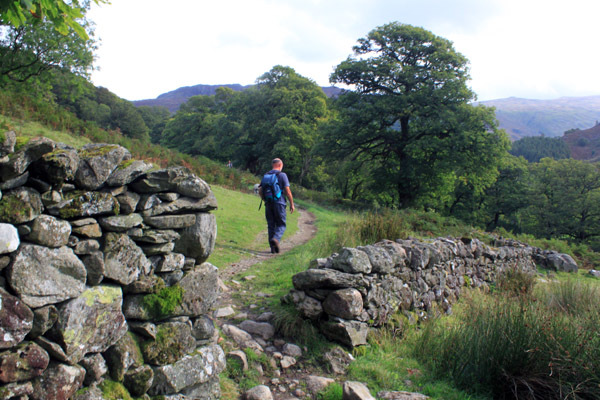 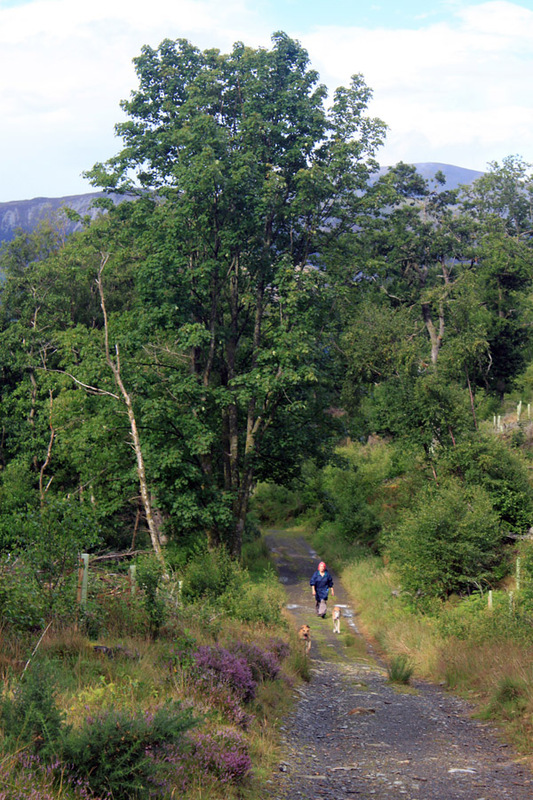 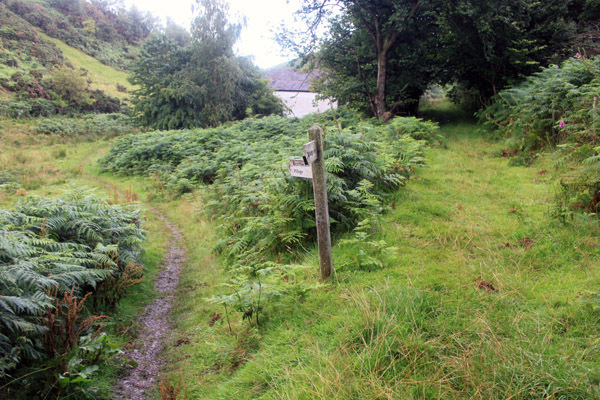 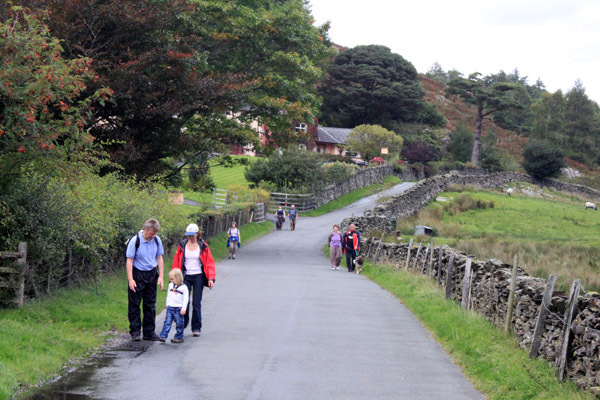 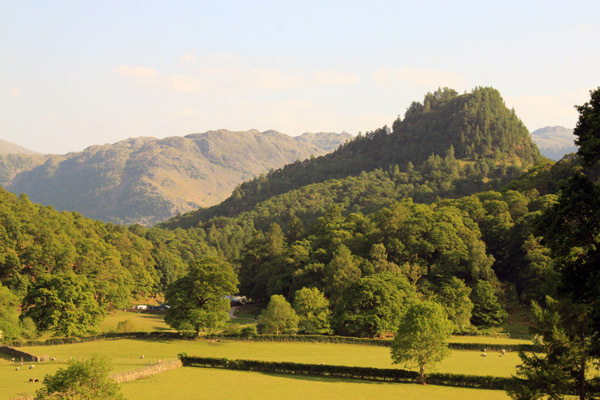 Heading on down into the mountain sanctuary of upper Borrowdale to Seatoller, it weaves on by Rosthwaite and through the enchanting Jaws of Borrowdale to Grange-on-Borrowdale. 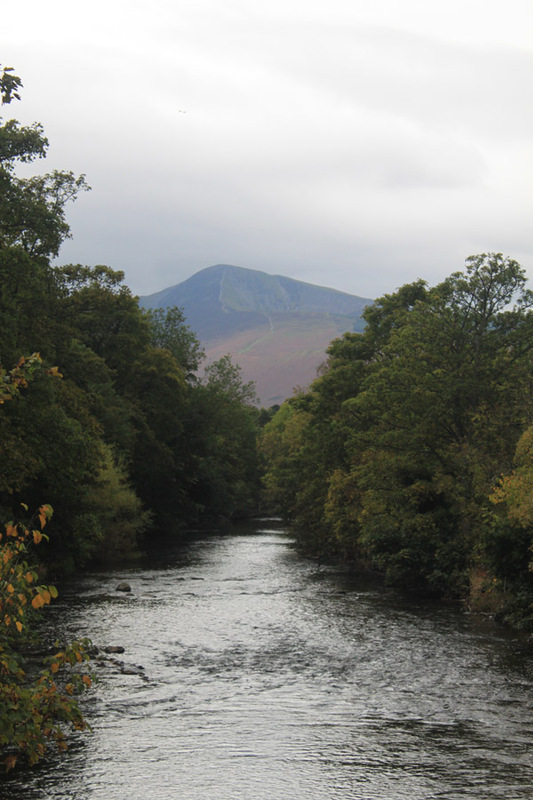 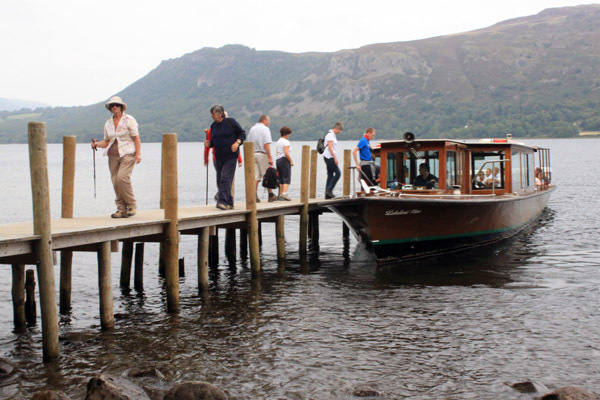 Turning at Grange to run above the the western shore of Derwent Water to reach Portinscale completing its majestic tour back in Keswick. 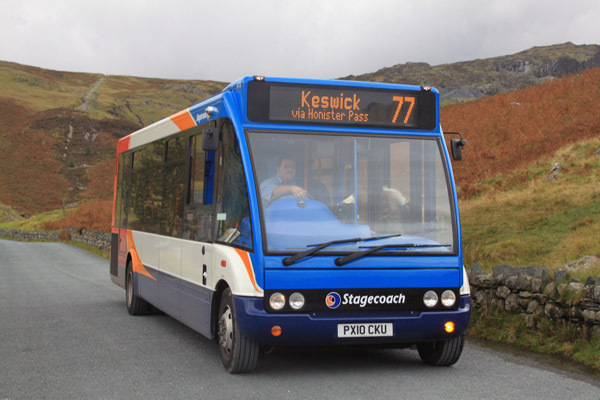 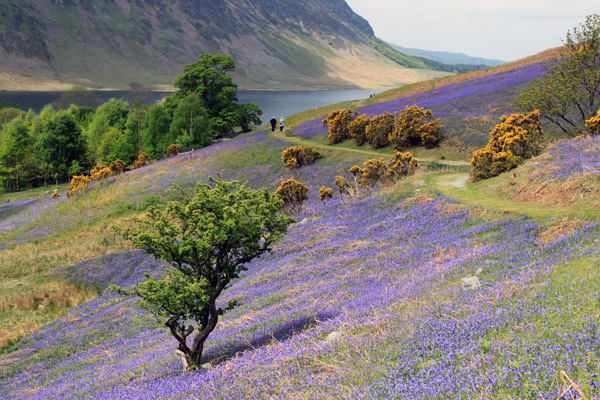 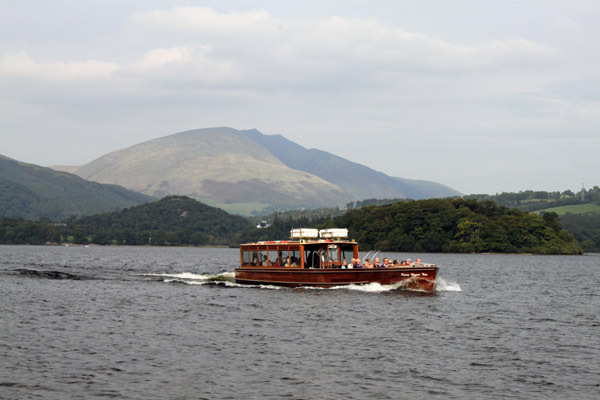 All the way the passenger is treated to fabulous scenery, scenery that now can be walked in harmony with the bus, bus stop by bus stop, on this the third StagePath in Stagecoach's Lakeland repertoire.